The definition of ‘narrow-caster’ (as opposed to a broadcaster) – “one who transmits a TV programme […] or otherwise disseminate information, to a comparatively small audience defined by special interest or geographical location” – seems to be a perfect fit for anyone engaged in the production of progressive rock. In spite of the genre’s relative popularity these days, both the musicians and those who (like myself and many others) support it through our writings are perfectly aware that prog is not likely to become the next mainstream sensation, and its appeal will remain limited to a niche audience. Based in New Jersey (though guitarist Pat Kliesch resides in Los Angeles), 3RDegree formed over 20 years ago, but disbanded after a few years after the release of two albums, discouraged by the lack of response from their intended audience. In 2005, Kliesch and the other two original members, bassist Robert James Pashman and drummer Rob Durham (vocalist/keyboardist George Dobbs would join them later), met again with a view to reforming the band, taking advantage of those opportunities offered by the Internet that were not yet fully available in the mid-Nineties. The result was Narrow-Caster, released in the first half of 2008, mostly comprising material that had been conceived prior to the band’s demise in 1997, but completely rearranged for the occasion. The reactions of the ‘prog community’ to the album have been somewhat mixed, as illustrated by the many reviews published since its release. 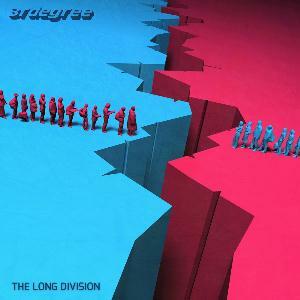 Although 3RDegree have always proclaimed their love of progressive rock (as stated by the quote I used as a heading, which is proudly emblazoned on the band’s official T-shirt), the influences they list on their Facebook page point to a very eclectic bunch of musicians – with the likes of Rush, Level 42, Genesis and Stevie Wonder mentioned in the same breath. In fact, labelling 3RDegree as a ‘conventional’ prog band would do them a serious disservice: they should rather be counted among the rightful heirs of legendary genre-bending outfits such as 10cc, Supertramp, Roxy Music and Queen. These bands and others, pioneers of the much-debated genre called Art Rock, are seen by some as little more than marginally related to prog, by others as no less progressive than icons such as Yes or Genesis. For today’s standards, Narrow-Caster is a short album, with no track longer than 5-odd minutes. Chock-full of hooks and melodies that would be the envy of many bigger-name bands, it is one of those independent releases that manage to sound like a million dollars. While the label-happy brigade (the ones that always wonder if a band, artist or album is prog or not before they say anything else) might frown and turn up their noses, at the beginning of the 21st century, with progressive rock in all its manifestations enjoying an almost unexpected Renaissance, an increasing number of outfits have rediscovered the importance of a well-crafted song as opposed to sprawling, patchy and often terminally boring epics. 3RDegree are part of a solid, though not too large, contingent of bands who do not believe that ‘pop’ is always a bad word, and who deliver consistently intelligent, classy music without the need to release a whopping 80 minutes of it. While all the members of 3RDegree are gifted musicians, creating rich sonic textures without anyone seeking to outdo the other, the band’s real ace in the hole is George Dobbs’ absolutely stunning voice (which, I am happy to say, sounds every bit as good live as it does on CD). Though I have seen it compared to the likes of Michael Jackson, in my view the closest comparison are Glenn Hughes (of Trapeze, Deep Purple and, more recently, Black Country Communion fame), and of course Stevie Wonder. George’s versatile, soul-infused tenor can shift from soothing to aggressive in the space of a single song, stamping his unique imprint on the band’s music without overwhelming it. 3RDegree’s love of classic prog acts such as Yes and Gentle Giant – as well as The Beatles and the hard-to-pinpoint King’s X – shines through the superb vocal harmonies that grace most of the songs. The album kicks off in high gear with “Apophenia”, an intriguing mid-tempo with echoes of Rush in the guitar parts that immediately introduces the listener to 3RDegree’s heady blend of aggressive, catchy and atmospheric elements. Dobbs delivers the thought-provoking lyrics, belying the apparently carefree tone of the music (something perfected by the likes of Steely Dan and Supertramp, to name but two) in impassioned yet perfectly controlled fashion. The Steely Dan comparisons rear their head in the splendid “It Works”, my favourite number on the album, with excellent guitar and keyboard work bolstered by Pashman’s nimble bass lines, and one of Dobbs’ finest moments together with the energetic “Free for All” – where a deceptively blissful chorus is offset by the spiky, riff-heavy electricity of the verse. While the title-track and the smooth, jazz- and soul-tinged “Scenery” showcase 3RDegree’s more accessible side, with plenty of catchy vocal harmonies and laid-back melodies, the short but punchy “The Proverbial Banana Peel” sees the band experiment with both electronics and metal-like power chords The nicely-paced “Cautionary Tale” delivers a biting indictment of religious fanaticism through almost seductive vocals and an atmospheric guitar solo, and “Live With This Forever” marries a great hook, supported by Dobbs’ stellar performance both on vocals and keyboards, with some harder-edged guitar work. “Young Once” and “The Last Gasp”, on the other hand, are probably the two songs where the constantly lurking progressive component of 3RDegree’s sound emerges most clearly: the former, a wistful number in the Steely Dan vein, unexpectedly features a lovely, ambient-like bridge; while the latter closes the album in style with a brilliant combination of dreamy vocals, Rush-like guitar riffs and a majestic, orchestra-backed, bass- and keyboards-led coda that brings Yes to mind. 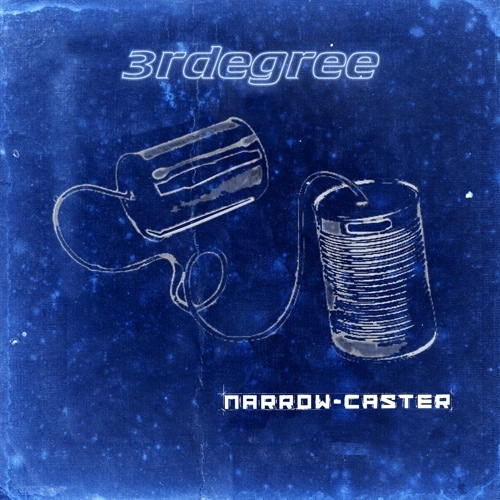 If you are looking for music that successfully combines accessibility, great musicianship and stunning vocals, look no further than Narrow-Caster, definitely one of the best releases of the first decade of the 21st century – regardless of labels. In a perfect world, these guys would be stars, since it takes a whole lot of skill and dedication to write music that is at the same time approachable and sophisticated. At the time of writing, 3RDegree are working on their fourth album, which will hopefully be released by the end of the year. In the meantime, check out the band’s two DVD releases, The Reunion Concerts (released in the same year as Narrow-Caster) and Live at ProgDay 2009, capturing their performance on the small but legendary stage in the beautiful surroundings of Storybook Farm.